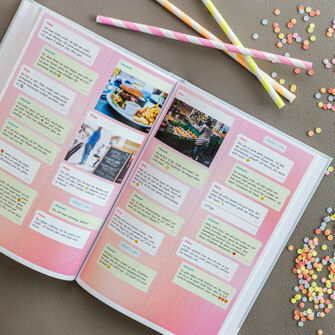 As unique as your wedding: your chat as a book! 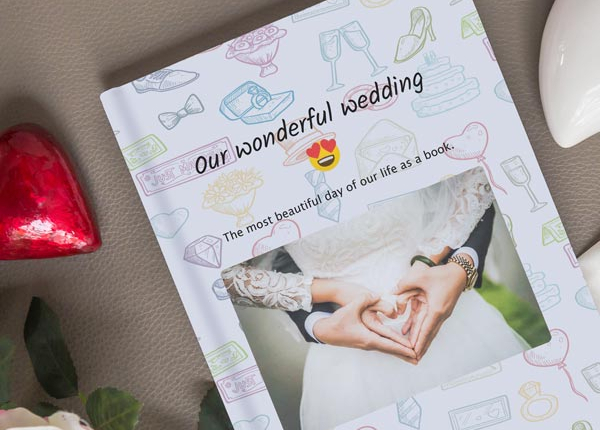 Now you can print all the messages about your wedding as a book! 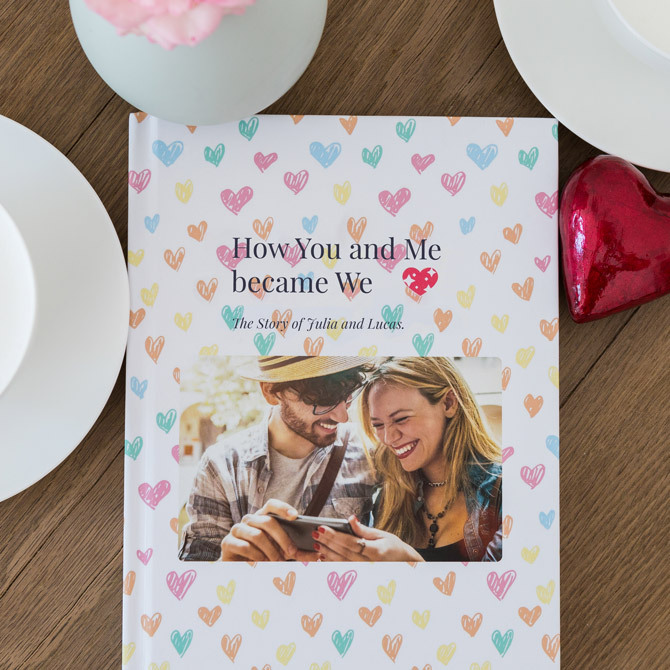 From „how it all began“ to „Yes, I do“ – a keepsake to treasure your story. Shared memories are the best present. 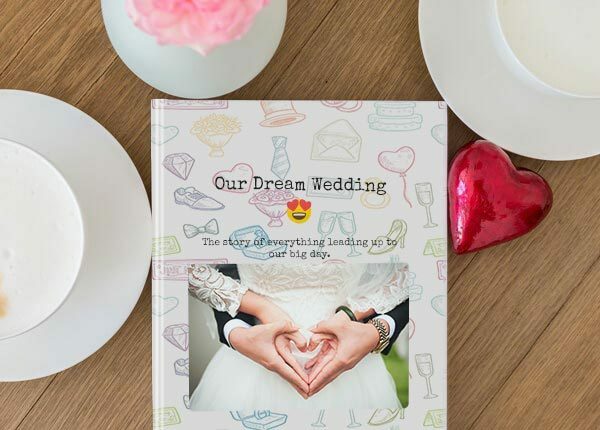 Your wedding is so much more than one day! 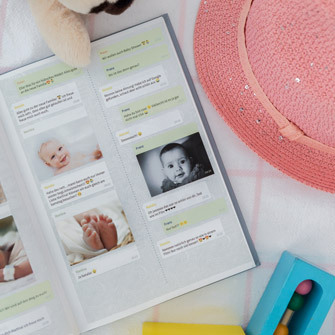 From your our love story, via the loving organisation with your bridesmaid, the bachelor party and finding the perfect dress to the first dance: all these moments are a part of it – and are very often documented via Facebook Messenger or WhatsApp. 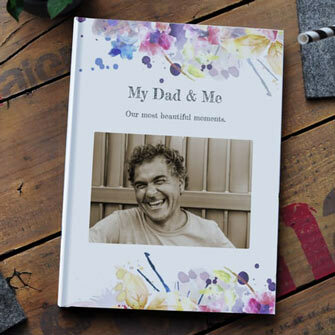 Hold on to these memories and turn them into the perfect present for the best day of your life – for you and for all of those that share it with you. Everyone has a photo album and a wedding video. And I thought it was a shame that they only ever include the actual day of the wedding. Everything that goes on beforehand is lost. 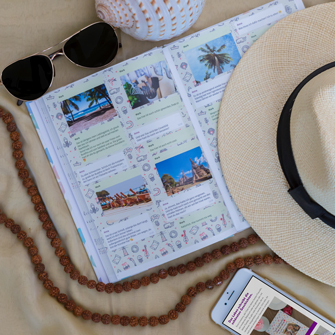 I think getting engaged was the start to something very exciting – I loved every bit of the preparation leading up to the big day. So we searched for a way to document this year. 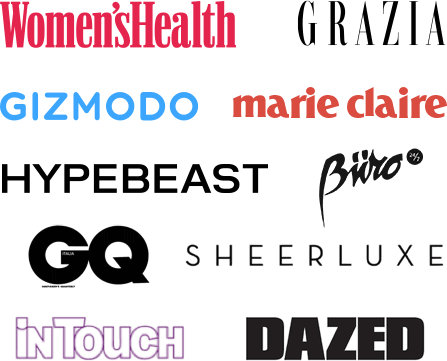 Not a blog, but something more private. We started exchanging our thoughts about the wedding via WhatsApp chat when we were on holiday. Later, we had a group chat for all those involved: our best man, the bridesmaids, our family and all the friends that helped us. 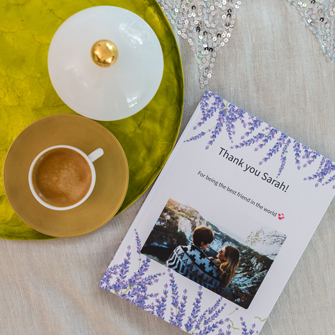 In the end, our chat even became our guest book, because so many people used this way to send their congratulations – including pictures. 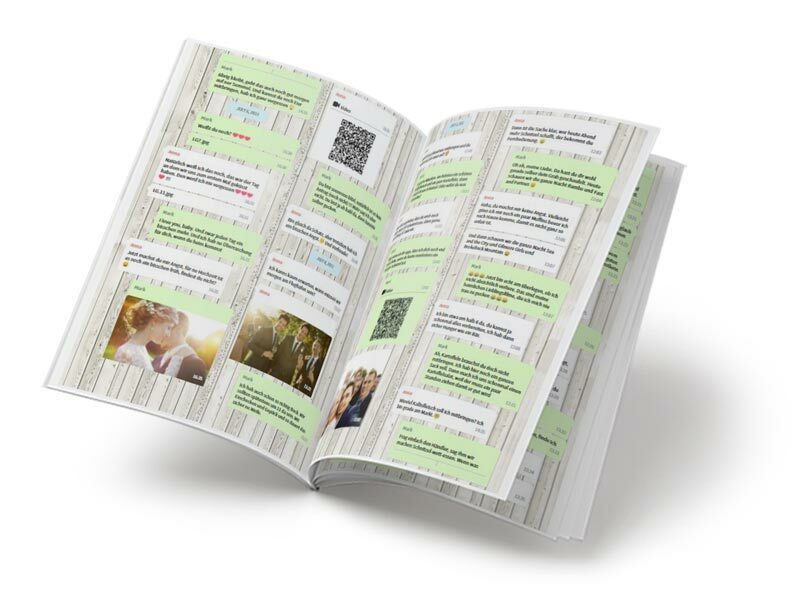 With zapptales it was really easy to print this WhatsApp chat. 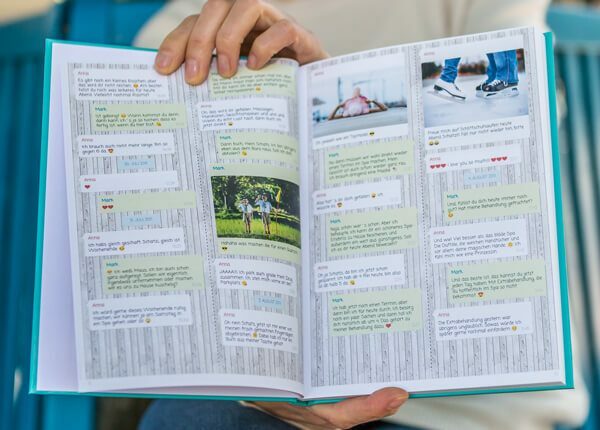 It took a while to edit this massive chat and shorten it for a book. But the result is something very special: a look back onto an intense year and a dream wedding.